Having bright and radiant skin has to go with having healthy skin. Some people who have brown or black skin want to have instant light skin by using chemical products, like skincare treatment. But it may not benefit our skin because chemical products contain risky elements. Instead of using products, natural treatment can be the best solution to whiten and lighten the skin. 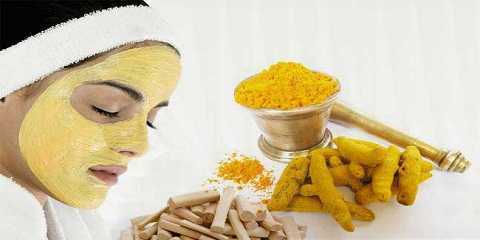 Creams and masks of natural remedies can help nourish the skin without leaving any damage. It can also benefit the skin to get healthier and give natural effect to the skin when it gets lighter and brighter. All the natural creams are coming from plants, fruits, and vegetables that we can easily find or buy in the markets. It wouldn’t take a long time to prepare the ingredients and do the recipe. So, natural skin lightening cream for black skin can be the answer for how to get lighter skin and still looks so natural. Let’s start with the simplest less-item treatment to lighten the skin. Lemon is the best item to help us get light and flawless skin. Take a slice of lemon and rub the juicy lemon on the skin. Before applying lemon to face or other parts of skin, we need to test if our skin is allergic to lemon by squeeze a lemon above the back of hand. Only a little juice of lemon on the skin will do. Wait and see what happens, if there is no burning or itchy sensation, then the skin is not allergic to lemon. Gently rub the lemon to the skin. Lemon will erase the dead cells of the skin. The acids will take away the old skin cells and encourage the new ones. After five minutes, rinse the skin with warm water. Dark and blemished skin is caused by the dead cells on the skin’s surface. We need exfoliation that can remove these dead cells so that the skin can be brighter and lighter. Baking soda is one of items that can be exfoliator. Not only whitening and lightening the skin, baking soda can cure acnes. Mix baking soda with water so it becomes creamy. Massage this cream onto the parts of skin you want to lighten and leave it for a few minutes. Then rinse it with water. This treatment best used three times a week. The next natural cream is potatoes. We only need to prepare one or two potatoes, depending on how many parts of skin we want to lighten. Grate the potatoes and squeeze the juice. We will use the juice on our skin, so apply gently on the skin and let it dry. It takes about 20 minutes so the potatoes can do its work to lighten the skin. After that, rinse with water. For the best result, do it twice in a day. It will make our skin brighter and flawless. When using the natural treatments, it would be best if we do not use any skincare products that contain chemicals. The products will prevent the skin to get the best result from the natural creams. It would also damage the skin and can cause black spots or freckles. These natural creams are not only for whitening treatment but it can also be daily treatment after getting light skin. The creams would keep the skin healthy and it would help the skin to produce new cells and remove the dead cells daily. We also need to avoid too much activity under the sun at noon. UV rays can cause the skin to get darker and leaves black spots or uneven skin tone all over the body.